A reminder to take note of beginning of 2019 dates for Strategy Saturday. In January, February, March Strategy Saturdays will be on the FIRST Saturdays. Come April I expect we will be able to return to the traditional second Saturday of the month. So I hope you all got that and don't inadvertently miss one of these game nights. So last month we were going feature Great Western Trail and then Henning got sick at the last moment. Not a big deal, the evening went on just fine without them both. 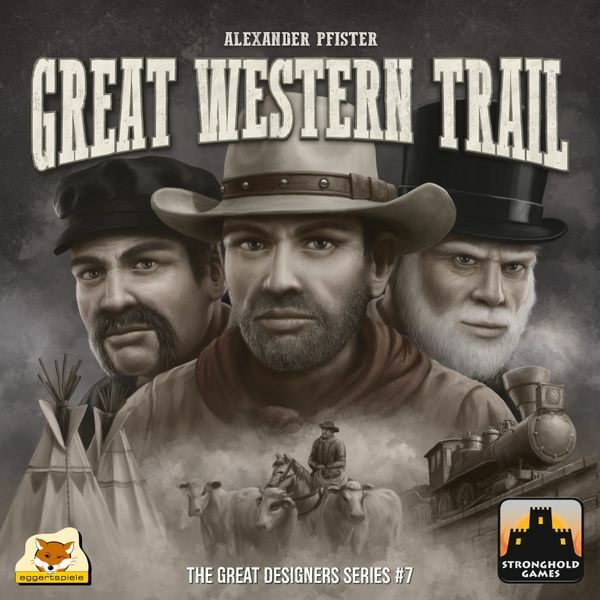 So this month we'll give Henning another crack at introducing Great Western Trail to potentially new players (like myself). Great Western Trail is a recreation of ranching in the wild west of America in which players are trying to move cattle to market. Of course there are decisions to be made along the way and only the mostly discerning rancher will gain greater profits than his rivals.